A new style of laser tag called AppTag has been designed for iOS devices and smartphones by Jon Atherton. The AppTag consists of a plastic gun to which you mount your iPod, iPhone or Android smartphone. Bringing first person shooter console gameplay to smartphones in the real world. Watch the video after the jump to see it in action. The AppTag and smartphone are then combined with the free AppTag application, that has been created to keep score via WiFi and enable players to pick up extra guns, ammo packs, health kits and body armour. Just like in console games, but this time in real life. AppTag can b played either in or outdoors and each unit is equipped with a IR sender and receiver. The AppTag system has also been designed to be backwards compatible with any blaster toy. 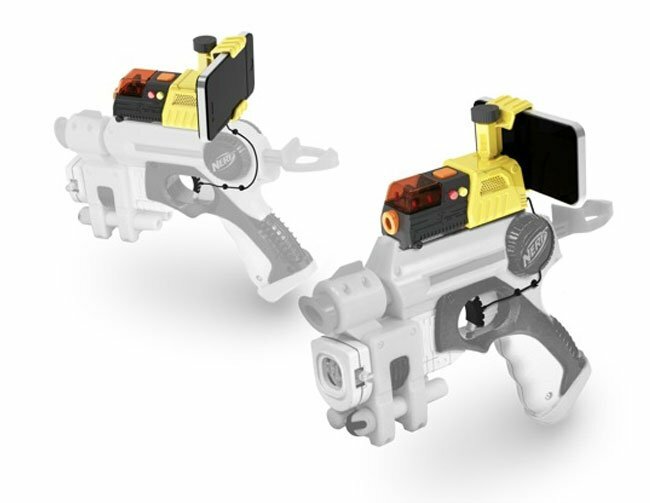 Enabling you to use the included pistol grip or clamp the AppTag on to most Nerf, Buzzbee guns. “We include a sturdy rubberised trigger with wire and several small adhesive clips. The AppTag trigger switch grips the trigger of existing toys or our own trigger in the supplied pistol grip,. The trigger can attach to any existing gun. 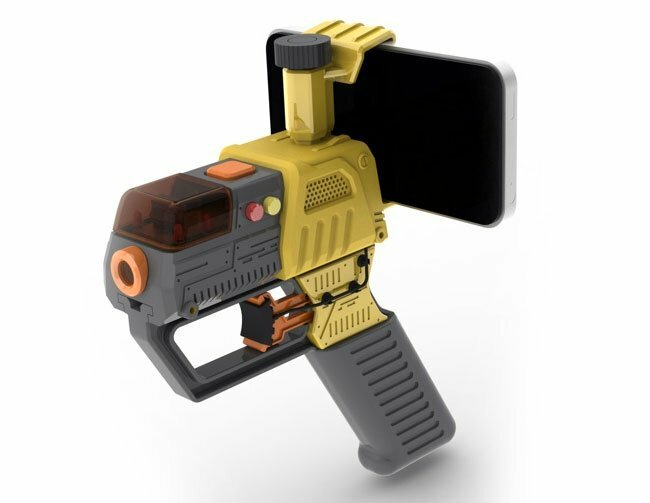 If you think you would have fun with a coupe of AppTag guns for your smartphones jump over to the Kickstarter website for more information.